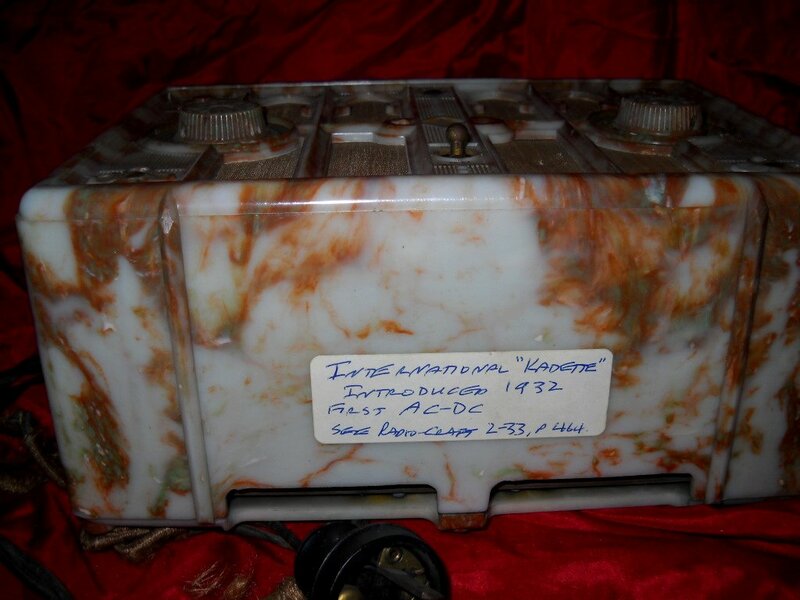 Question: Researching items in my various collections that I am considering selling, I would like to know more about this little radio that has a tag reading International Kadette 1932. What can you tell me about it and what is it worth? In the 1920s, when radio manufacturing was in its infancy, a young man in Ann Arbor, Michigan started making radios. Charles Verschoor didn't make his mark on the radio world, however, until 1931 when he started the International Radio Corporation. One of his first products was a diminutive little radio with a plastic case, the Kadette. The compact size of the radio was accomplished by using an innovative new circuit, one which strung all the tubes in series like Christmas tree lights. This set, which would operate on either AC or DC current no longer required a power transformer, and that made it lighter , smaller, and cheaper than the other sets on the market. Its plastic case was noteworthy as well. Manufactured for International Radio by the Chicago Molded Products Co., it marked the beginning of a new era in cabinet design by being the first set housed in plastic. Its design was rather traditional, having a strong Gothic look with arches on the front of the case. The radio was a hit with the American public, and its popularity led to the almost immediate profitability of International Radio. Within two years, International Radio was the only Ann Arbor corporation that was still paying dividends to its shareholders. 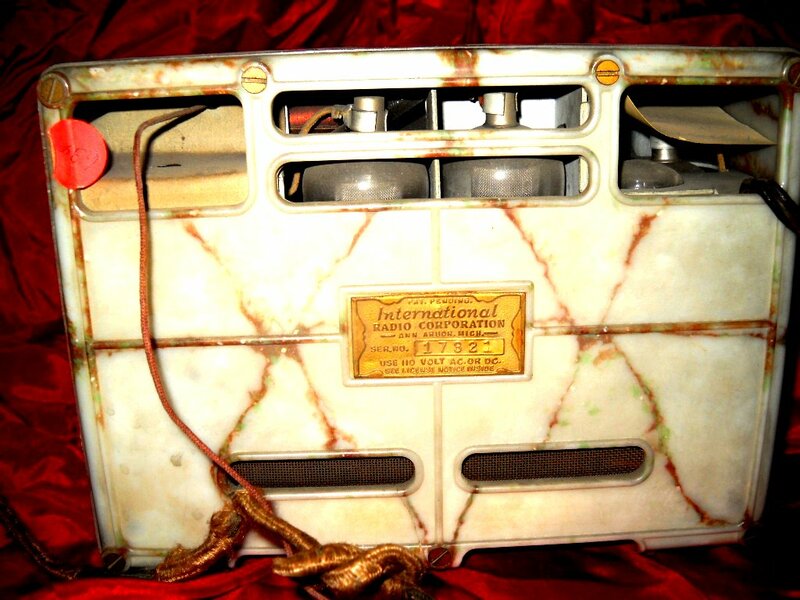 In 1931, the International Radio Corporation of Ann Arbor Michigan introduced this radio, this rather unassuming set. 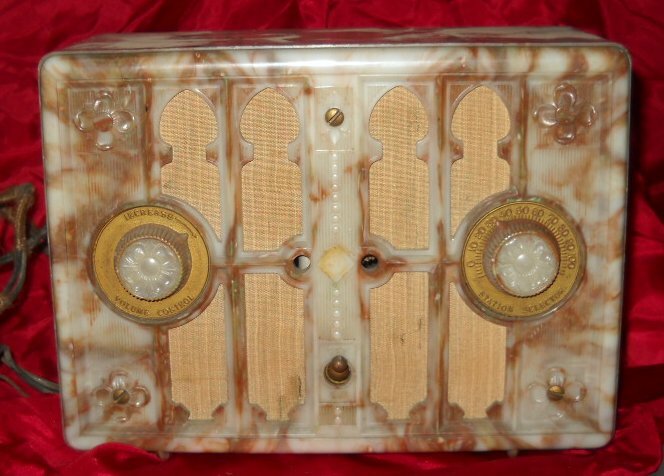 In spite of its dimunitive size, this radio was a milestone in the manufacturing of radio sets. 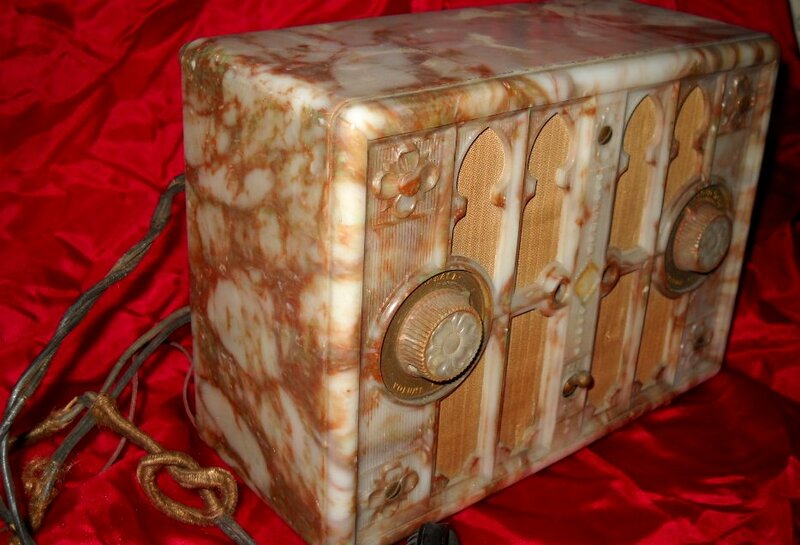 This radio was the first with a plastic cabinet. They were made for International by Chicago Molded Products in three different plastics; bakelite, plaskon (like this example), and beetle. The radio was also the first AC/DC set available, which was a circuit designed without the need for an expensive, bulky power transformer (By the end of the 1930s nearly all table radios were to become AC/DC sets). Eliminating the transformer and packing the components together allowed this radio to be smaller that it's competition and in expensively priced. Although plastic sets weren't really accepted until Sears introduced one in 1936, the popularity of this set helped International Radio become the only corporation in Ann Arbor to pay dividends in 1932. This is also the first model to bear the name, "Kadette." All comments are for discussion and should not be used to establish value based on information provided her. 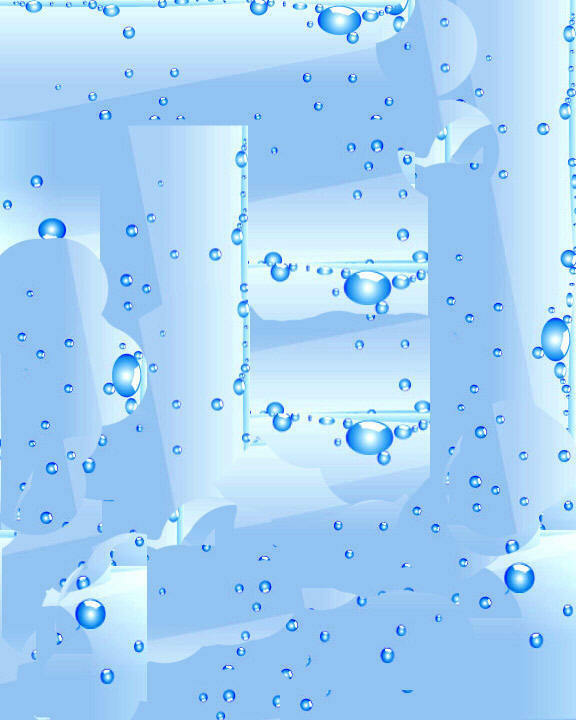 This column is for entertainment purposes only and the authors and publication assume no liability in the use of this material.